Courtyard Villa in the Village of Dunedin. It is a Melrose model with three bedrooms and two full baths. The Kitchen is open to the Living Room and has large center island, vinyl flooring and light colored appliances. The spacious Living Room has carpeted flooring and ceiling fan. The Master Bedroom has carpeted flooring, ceiling fan, and private full bath with dual sink vanities. The two guest bedrooms are carpeted and have ceiling fans. There is a screened lanai with ceiling fan for sipping, eating, or just plain relaxing. 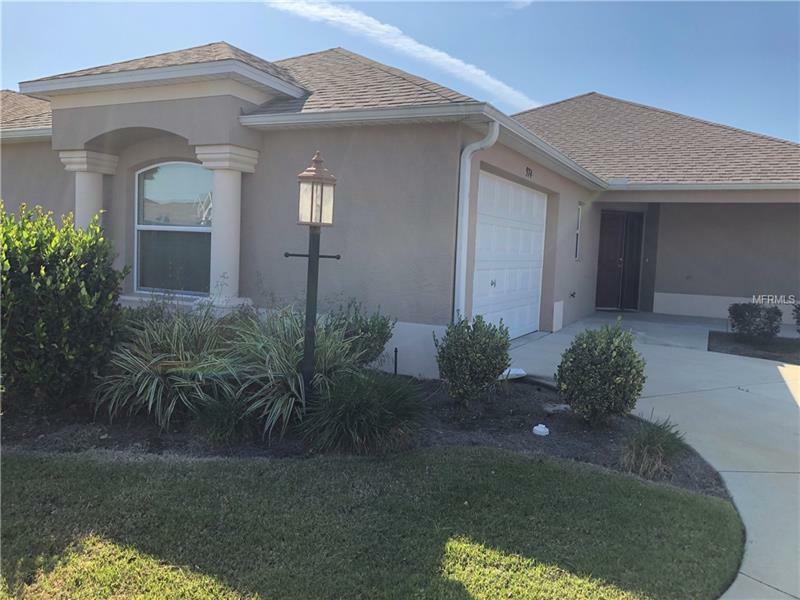 It is located in the active Village of Dunedin close to the Manatee Village Recreation Center, the Bonifay Country Club and Brownwood, The Villages third town square. Donât miss one !